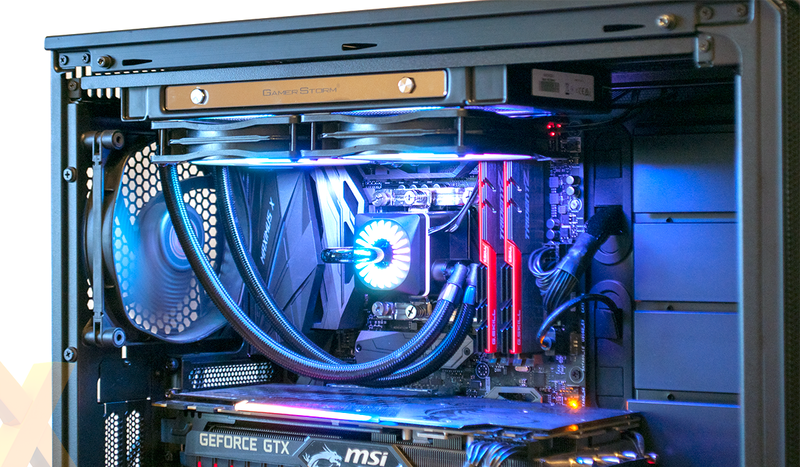 Deepcool may be a relative newcomer around these here parts, but in the five years or so in which we've been reviewing the firm's products, we've rarely come away disappointed. Offering something a little different to the norm, the Chinese manufacturer's kit is often eye-catching, affordable, and able to keep pace with the so-called big names when it comes to performance. 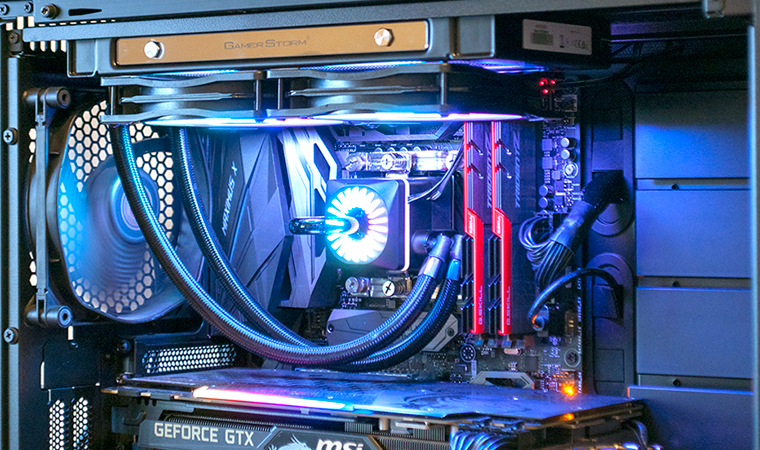 We enjoyed last year's Castle 240 RGB cooler, so when asked if we'd like to take a closer look at a 2019 alternative, we thought well, why not? It's called the Captain 240 Pro and arrives at retail priced at £150. That price tag gives us pause for thought. While the Castle 240 RGB stood out courtesy of its £90 positioning, a £60 premium for the Captain 240 Pro seems hard to justify at first glance. This remains a 240mm solution, and if you're inclined to stay with the brands you know, it is worth noting that the NZXT Kraken X62, Corsair H115i Pro and be-quiet! 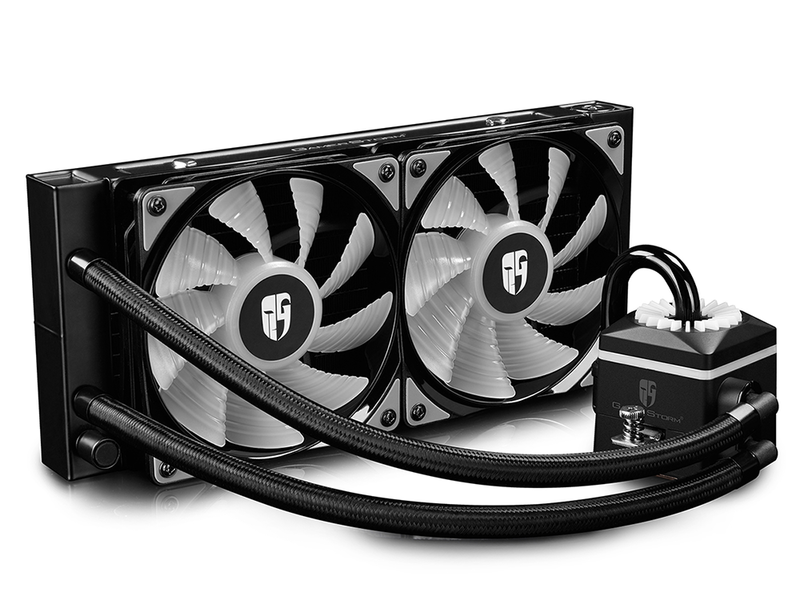 Silent Loop all offer a 280mm radiator for less money. 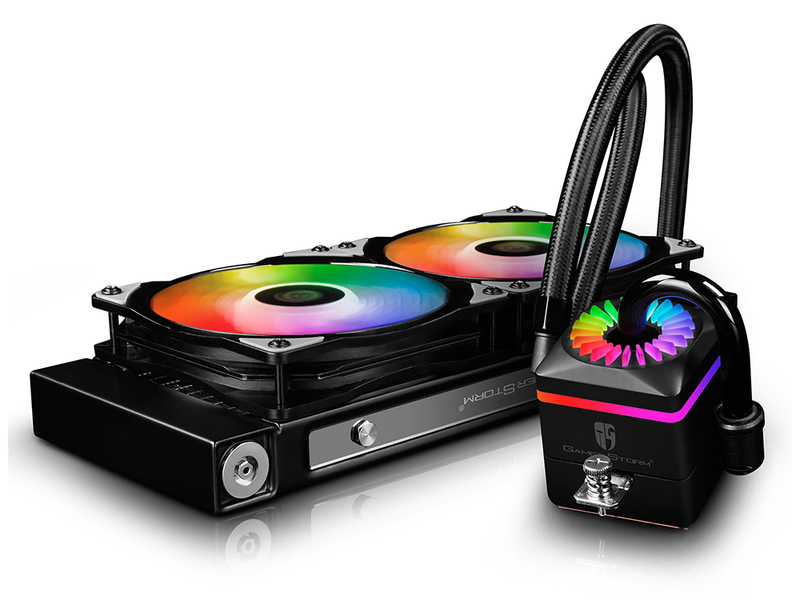 Then again, Deepcool isn't just a budget outfit, and the firm is hoping to allay any fears among newcomers to liquid cooling by claiming that Captain 240 Pro 'never leaks.' Always good to know, and the Chinese manufacturer has patented technology behind those claims. Deepcool calls it the 'Automatic Pressure Relieving Radiator,' and it takes the form of a rubber capsule installed in the liquid chamber behind a seal screw at the end of the aluminium radiator. When the pressure in the system increases, presumably as a result of a rise in temperature, the rubber capsule is compressed in order to increase internal volume. The process is dynamic and invisible to the user, however it's easy to be just a tad sceptical; though we don't doubt Deepcool's claims, adding further components to a closed-loop solution ultimately gives us something else that might fail. If that's troubling you, it's worth noting that Captain 240 Pro is backed by a three-year warranty as standard. 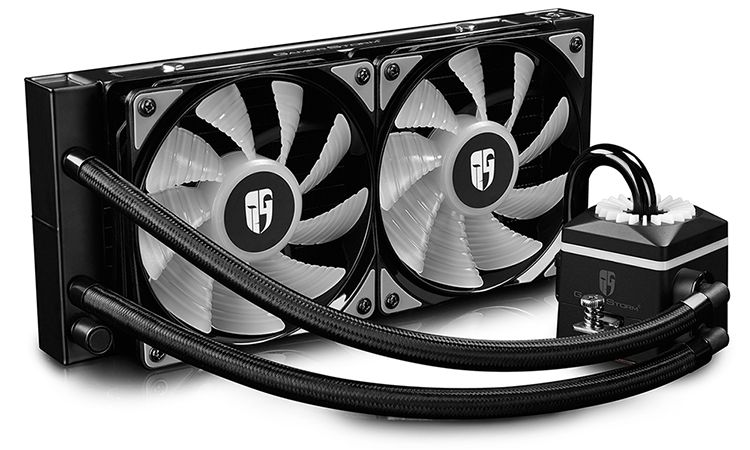 At the other end of the 300mm flexible tubing, Deepcool has one of the more unique pumps on the market. It looks fun and quirky, and of course, seeing as this is 2019, the RGB LEDs have been upgraded to the addressable type. Creating effects is part of the appeal, and Captain 240 Pro supports synchronisation with all the major motherboard vendors - Asus, Gigabyte, MSI and ASRock. Outside of those shiny lights, the pump itself measures 93.7mm x 93mm x 85mm, and though the copper contact plate isn't huge, Deepcool provides fixings for all the latest Intel and AMD sockets, including Threadripper (TR4). It's a tidy-looking unit once installed, and frees up space around the socket compared to a high-end air cooler, however the position of the tube connectors is such that the pump can't be easily mounted any which way. In our experience, it works best with the pump installed so that the tubing exits from the bottom-right corner up to the radiator. Getting everything up and running entails connecting a few cables, with the pump itself having one three-pin connector for power and another for RGB. 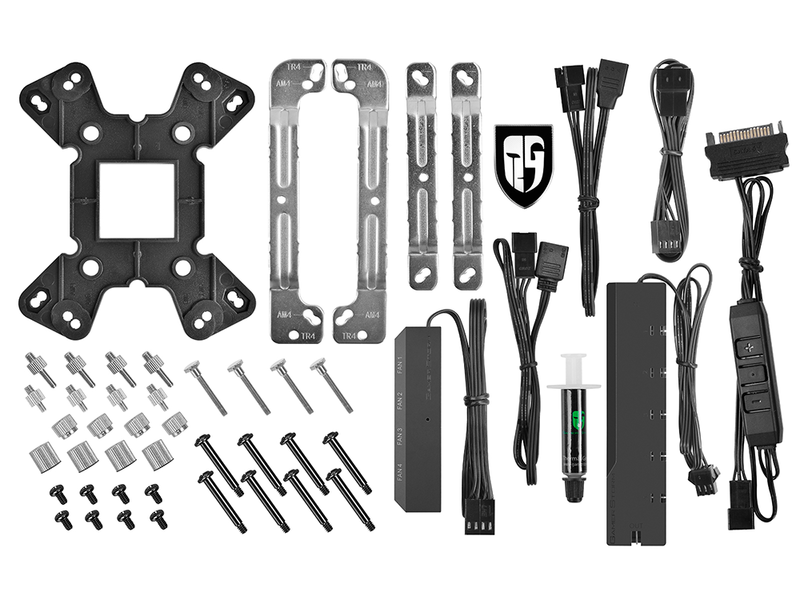 What to do if your motherboard doesn't have headers for lighting? 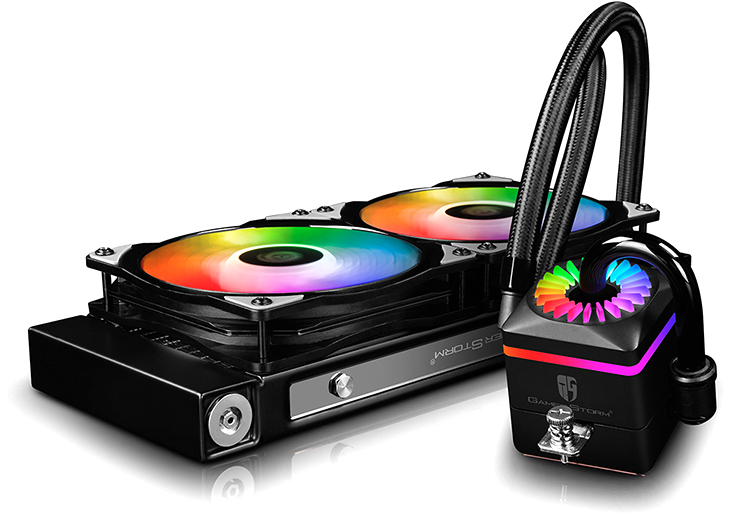 For users in that scenario, Deepcool includes a basic addressable RGB controller as part of the bundle. Said accessory is SATA-powered and supports five zones, but the ports feel cheap (it's far too easy for cables to get disconnected accidentally), and cycling through the effects and colours takes an age. What's more useful is the four-way fan hub, which allows for a quartet of fans to be attached via a single motherboard header - useful if you plan to install an extra set of blowers in a push-pull configuration. Deepcool's four-pin 120mm PWM fans also feature addressable RGB lighting, yet while the illumination looks snazzy, it's the trim on the side of the radiator that's caught our eye. We're used to radiators being basic all-black affairs, but the mirror-finish strip on offer here is a nice touch. Installation, as you would expect from any modern all-in-one solution, is a piece of cake. The mounting brackets clamp to the backplate using standoffs and bolts, and then the pump is fixed using a pair of screws. Do note, however, that thermal paste isn't pre-applied, so you'll need to carefully add a drop or two from the mid-sized tube provided. It's a good-looking piece of kit once up and running, let's now see if performance is up to scratch.